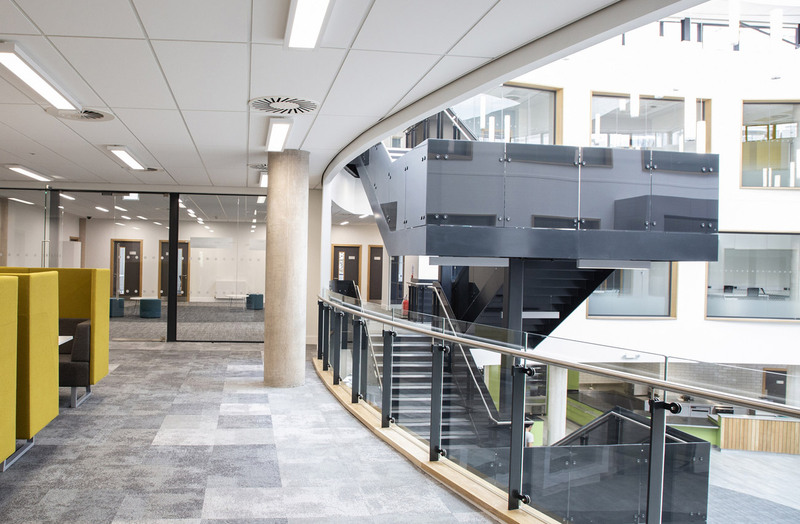 Taunton Fabrications are proud to have worked with Willmott Dixon, Austin-Smith:Lord and Arup in supplying the feature staircase, atrium balustrade & various staircores for the Oxstalls campus at the University of Gloucester. 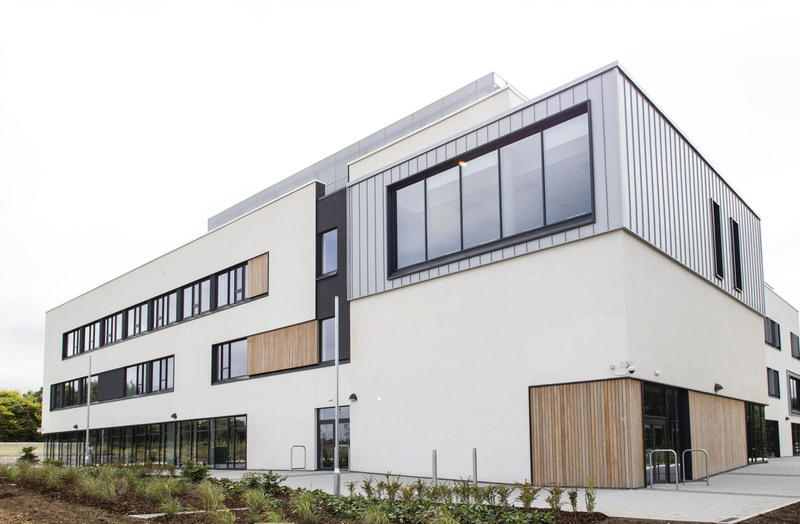 Oxstalls Campus is a £16 million development and home to the Business, Marketing, Human Resource Management, Law and Accounting and Finance departments at the University of Gloucester. 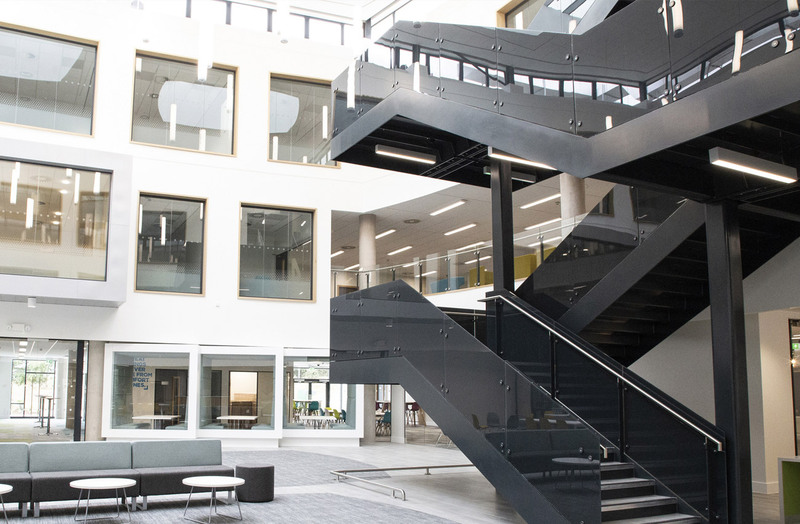 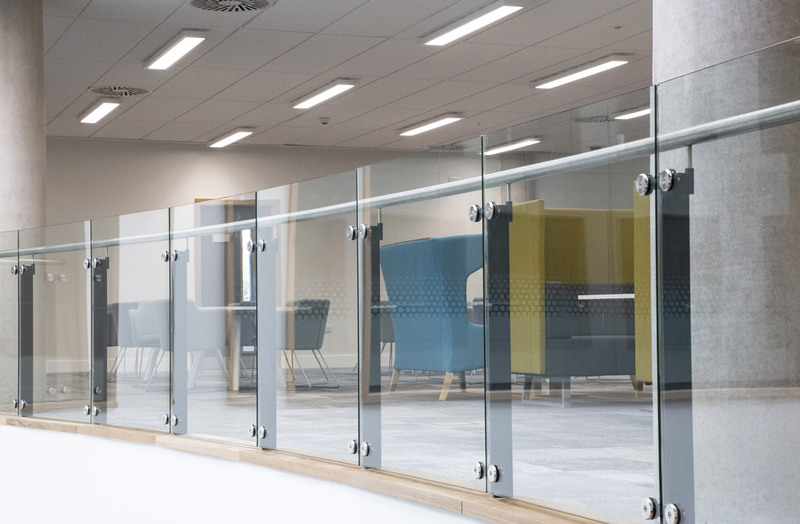 The new building brings together the University's Business School with it's Growth Hub in a dedicated facility, promoting collaboration and engagement among students, staff and local businesses. 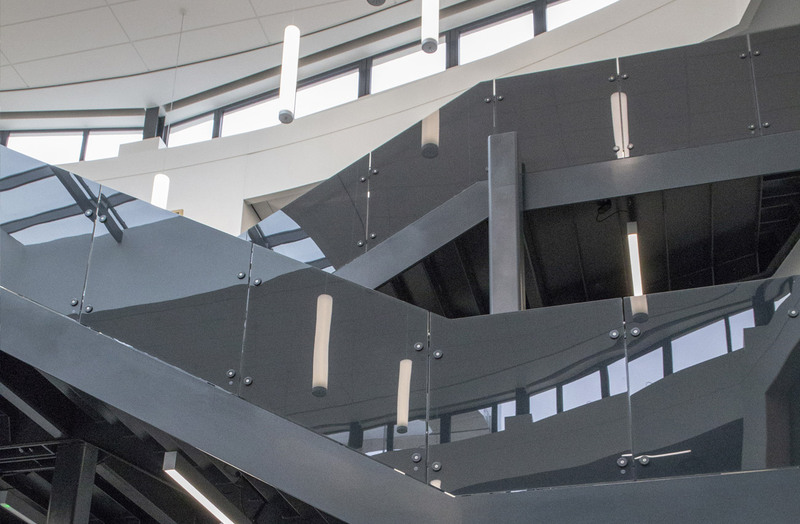 The imposing feature staircase was supplied in a factory applied paint finish with MDF fitted to the stair treads - this enabled specialist contractors to apply finished flooring to the treads and landings on site. 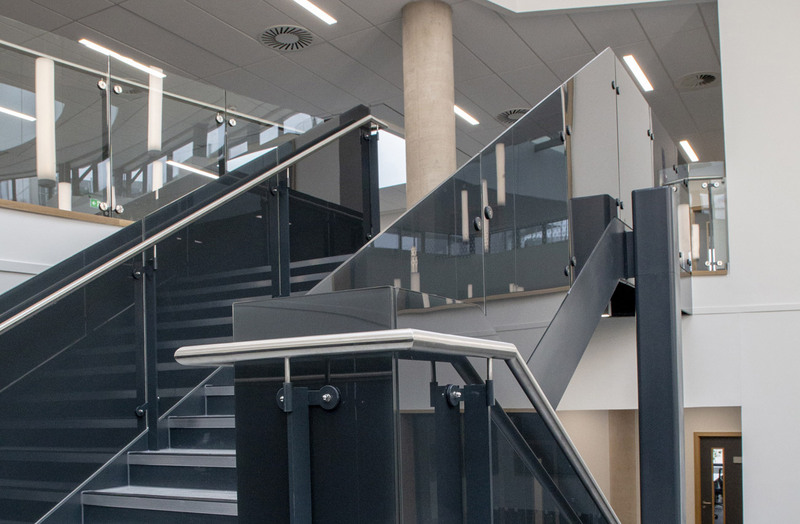 The stair flights were supported using 250x250 SHS and 300x150 RHS sections with screen printed 13.5mm laminated glass and 304 grade stainless steel handrails forming the balustrade.